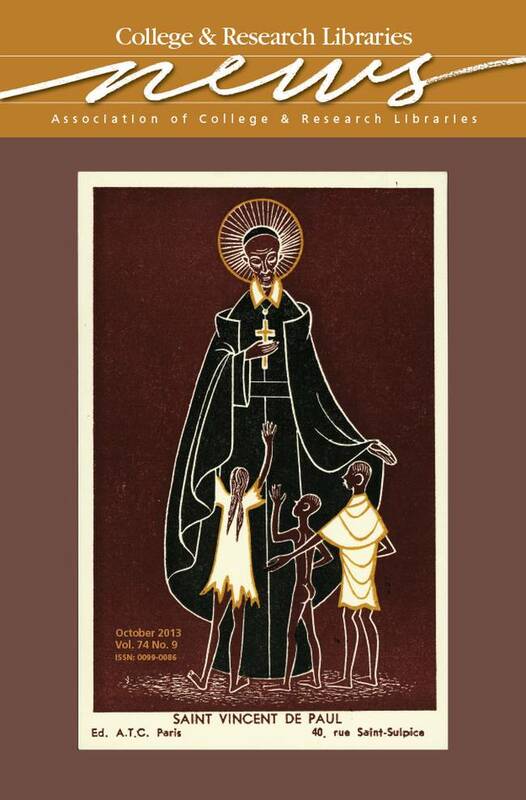 This month’s cover features a Catholic holy card depicting St. Vincent de Paul standing with three children. St. Vincent de Paul (1581–1660), the patron saint of charity, is most often shown surrounded by the poor and destitute. This particular holy card, dating from the mid-to-late 20th century and produced by Galerie Arts et Traditions Chrétienne, seeks to maintain this traditional iconography while updating the style for a contemporary audience. This image is part of the Vincentian Studies Collection, held at DePaul University Special Collections and Archives. Digitized materials from the collection can be viewed at http://bit.ly/17LU3Lc. For more information on the Vincentian Studies Collection, please visit http://libservices.org/contentdm/vincentian.php.